Transporter bridge, Newport, Wales. 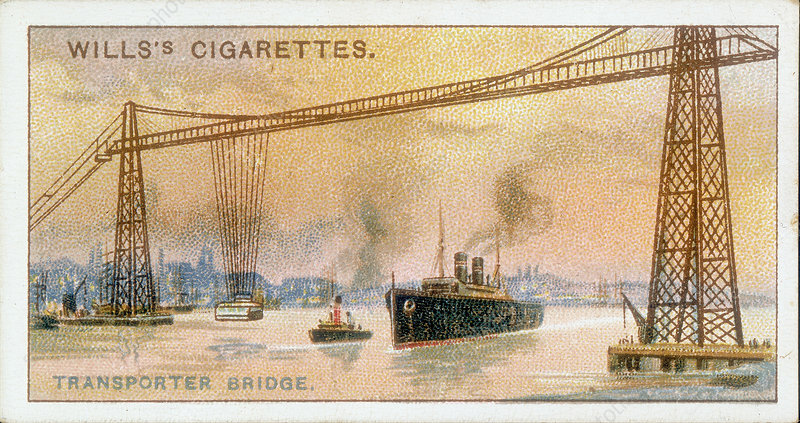 This type of bridge allowed shipping to pass unimpeded and passengers and goods to be transported across a river on a suspended platform. The example over the River Usk at Newport was designed by the French civil engineer Ferdinand Arnodin and opened in 1906.